Elegant and perfect for entertaining! 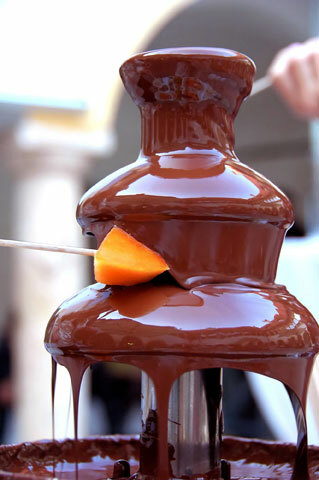 Use either Chocolate or Vanilla CANDIQUIK® in your chocolate fountain! 1. Melt both packages of CANDIQUIK® Coating in Melt & Make™ Microwaveable Tray according to directions on package. 2. Add solid vegetable shortening; stir until smooth. 3. Pour directly into pre-heated fountain. *Please note: depending on the size of your fountain, more CANDIQUIK® and vegetable shortening may be needed. Add 2 tablespoons of solid vegetable shortening per 1 package of CANDIQUIK®.